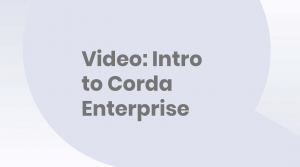 Corda Enterprise is a commercial distribution of Corda, our open source blockchain platform, specifically optimized to meet the demands of modern day business. 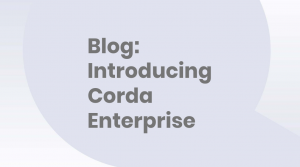 Corda Enterprise is interoperable and compatible with Corda and is designed for organizations with exacting requirements around quality of service and the network infrastructure in which they operate. With the choice between enterprise and open source, companies can now select a blockchain platform that fits their unique needs – regardless of their industry, size, and stage of development. Ready? Request an evaluation trial of Corda Enterprise today. 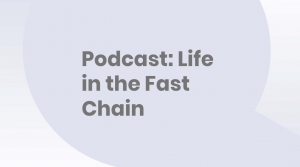 Enables Corda Enterprise to be deployed inside corporate data centers while retaining the ability to communicate securely with other nodes anywhere else in the world. Facilitates seamless integration with industry-standard enterprise databases. Cross-distribution and cross-version wire compatibility, together with the ability to operate mixed-version networks and a Corda node inside a corporate firewall. Includes 24/7 support, predictable release schedules, governance, performance and availability monitoring, enhanced security, high-availability, disaster-recovery and high-performance modes. The Corda platform provides access to the world’s first universally interoperable blockchain network, enabled by Corda’s privacy model. This means that businesses can transact openly and flawlessly with all their business partners, without trapped assets or islands of information. 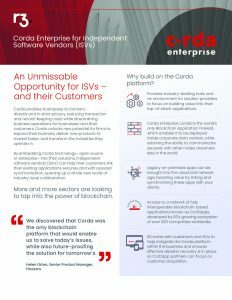 Independent software vendors (ISVs) are already benefiting from the Corda platform. By embedding Corda technology—open or enterprise— into their solutions, they can help their customers link their existing applications securely and with assured synchronization, opening up a whole new world of industry-level collaboration. 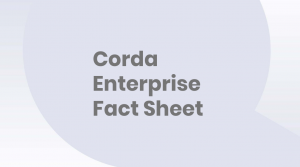 For more information download the Corda Enterprise for ISVs fact sheet. 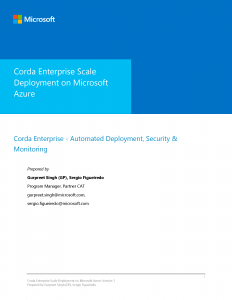 Learn how to automate the deployment, security, and monitoring of Corda Enterprise nodes on Microsoft Azure. 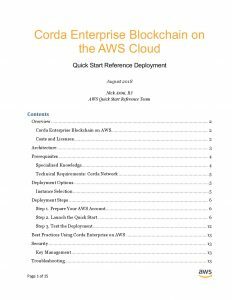 Discover how to automatically deploy a Corda Enterprise node on the Amazon Web Services (AWS) Cloud using Quick Start.